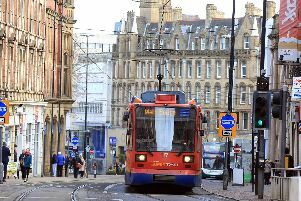 Bus services in Sheffield are being diverted following a crash. First South Yorkshire said services 1A were running on an alternative route following an accident on Stubbin Lane, Longley. Stubbin Lane, Longley. Picture: Google. It added outbound services were running via Bellhouse Road, North Quadrant, Sicey Avenue and Hatfield House Lane.